Hi guys! 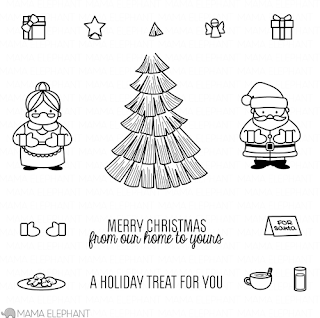 It's the second day of the Mama Elephant October release highlights today we're working with the new holiday set, Cozy Christmas! How cute are these stamps? You'll see me use the other stamps in this set later;), but today I went straight for the tree! Whenever I see stamps with 6 or 7 elements that can be easily paper-pieced, I think rainbow (natch)! 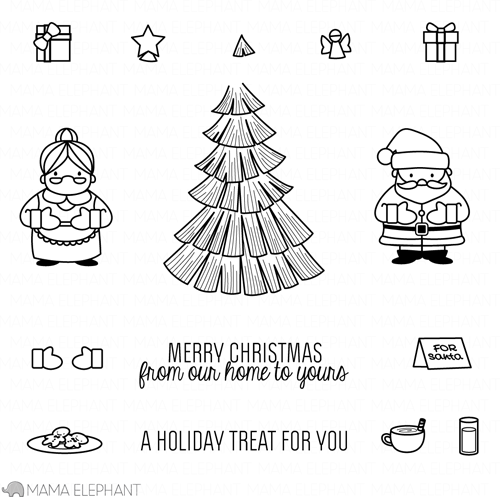 Lately I've been drawn to holiday cards in unconventional colors. I would say rainbow is not the norm for Christmas;) The awesome sentiment is the Merry Greetings set (seriously that set goes with all your holiday stamps!). Awesome, JJ! That rainbow tree rocks!! The Santas (Mr and Mrs) in this set are so adorable! This is so darn cute - love it! This is so cute JJ, the colours are fantastic! Oh em gee, I'm in love. Rainbow + Christmas....you're going to start a new trend :D AGAIN! I think rainbow should TOTALLY be te new norm for Christmas!!!!! Do you see that rocking and happy tree??? Eek! It's AMAZING!! Wow!!! Absolutely adorable card, JJ! 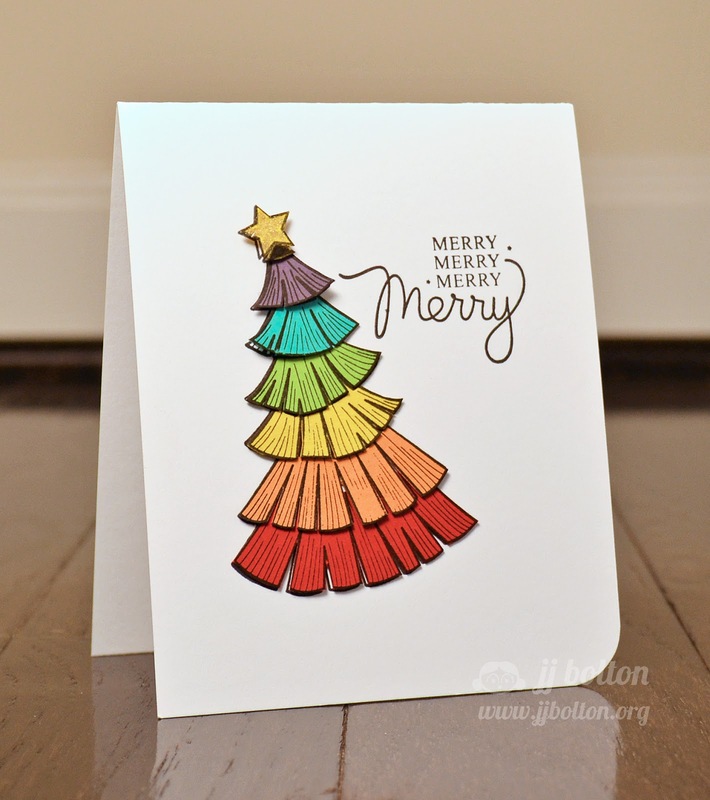 I love your 'Rainbow' of colors and how you angled the tree...so FUN!!! What a adorable Christmas tree!!! Love the colorful colors!! Gorgeous. Love the colours. TFS.